Donut Princess LA is a delivery-only donut concept, launching in the heart of Los Angeles. Crowned as Los Angeles’ very own ‘Donut Princess,’ Mayly Tao’s presence in the LA food world began just a few years ago after returning to her family’s donut shop in Santa Monica. 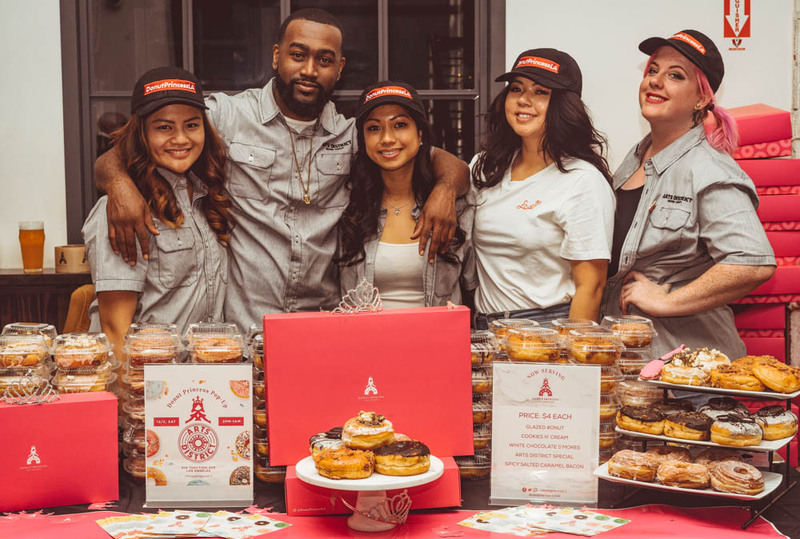 Blossoming into the popularity of delivery, Donut Princess Los Angeles will be cranking out fresh and high-quality gourmet donuts all day long for that royal sweet tooth. Order from your favorite delivery platform and/or catering for your office or drop us a line if you’re interested in throwing a #DonutPrincessParty. While many kids may have been watching Saturday morning cartoons or sleeping soundly, Mayly at the age of seven was already awake by 5 a.m. accompanying her parents to their shop and assisting them in any way should could. Both Mayly and her brother helped around the shop and became a common fixture of the DK’s Donuts and Bakery experience. Whether it was her brother helping his father bake or Mayly standing on a milk crate to reach the top of the donut showcase to give out change to customers, this was truly a family run business. Mayly’s parents were immigrants, survivors of the Khmer Rouge, and found the American Dream through donuts. Her great uncle, Ted Ngoy, is known as the “Donut King” for opening hundreds of donut shops in Southern California as an opportunity for survival in the 70s and 80s. Donuts have always ran in Mayly’s bloodline. 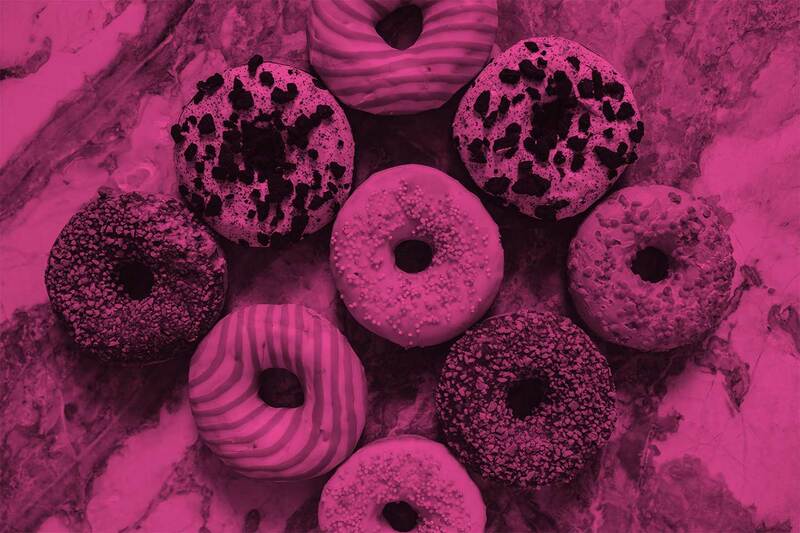 After attending UC San Diego with a degree in Communications, she came back to the family business with the initial idea to improve upon the branding, documentation and overall marketing strategy for DK’s Donuts and Bakery. Mayly wanted to capture all the beautiful and unique aspects of DK’s Donuts that often went overlooked or only seen by the handfuls of loyal westsiders. But what she soon discovered that beyond using her communication skills to update the outward facing look and feel of her family’s 30 year old establishment, her real talent was in the introduction of new experimental flavors that were a completely new interpretation of the classic donut catalog. She relished in the investigation of these new culinary concoctions and truly attempted to mash up a cross section of flavors on the human palette. It was Mayly’s unique combination of social media acumen and culinary creativity that made DK’s Donuts the Westside’s best kept favorite secret. Donut Princess LA is her newest concept, with a focus on donut bouquets and mini donuts. 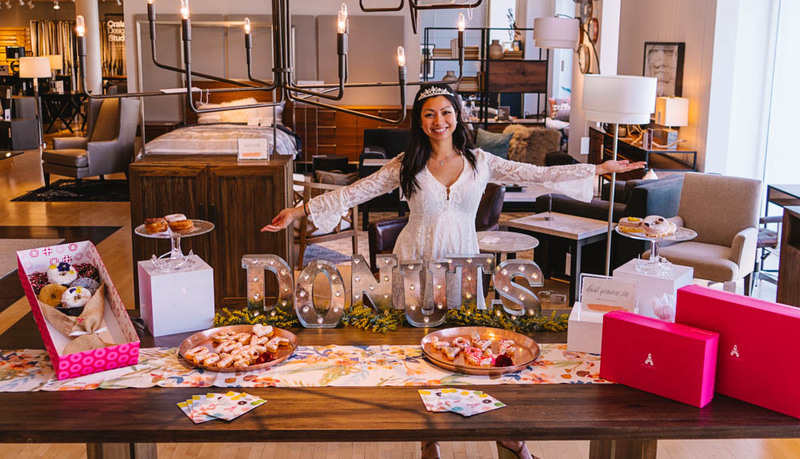 Donut Princess LA focuses on the experience of a unique gift, a delicious product, displayed beautifully at an event, baby shower, office party, birthday… You name it.